At Resonance Path Research Lab, we are actively experimenting, researching and designing Resonance Code, a pattern language that allows us to consciously experience and interface with the field of the unknown. Researchers in the lab learn to observe and experiment with internal transformational process, and study how the internal processes and external events correlate and resonate with one another. We are both the subject and investigators of our research. The lab is lead by the co-founder Spring Cheng and includes the following researchers. 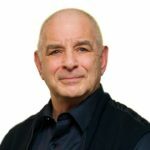 Joseph Friedman has over forty years’ experience in consulting and coaching individuals and organizations in communication effectiveness, leadership, high performance teamwork and creating and enacting strategic plans. He has founded and managed several successful consultancies and has designed and delivered consulting, coaching and educational programs in Africa, the Caribbean, Japan, India and Canada as well as within the United States. Joseph is a voracious learner and a passionate teacher. In all his work he draws on the two courses of study which have proved the most interesting, challenging and rewarding of his life — the study of self in intimate relationship with other and the study of what the inner eye sees when it turns its gaze inward. Tong is the Founder and CEO of Tong Schraa-Liu and Partners. She has 20 years of experience in catalyzing business growth and culture shift, developing trans-cultural and transformational leaders for shaping positive future, integrating culturally cross-border mergers and acquisitions. She has worked in the role of Entrepreneur, Executive, Consultant, Coach and Educator, with a variety of organizations in private and public sectors as well as NGOs and multilateral agencies in Europe, Asia, Africa, Latin America and North America. The key driver of Tong’s work is to unleash individual and collective creative potential to fulfil the purpose of individuals, organizations and whole systems, and to foster a higher level of mutual growth and mastery by all parties involved, during their (cross-cultural and cross-sectoral) collaborations. Her work and practices are informed by both Asian ancient wisdom and Western modern business practices. Executive Leadership Coach and Consultant. Kris is a life-long learner including advanced study of adult development. He loves pushing the edges of the latest research and best practices supporting transformational learning. 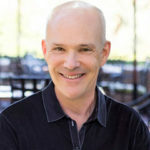 Kris works with individual leaders and teams across sectors including finance, healthcare, non-profits, and government. He serves on the faculty of the Georgetown University’s Institute for Transformational Leadership, Leadership Coach Training Program. Kris is a Founding Partner of the Collective Leaders Project and the Washington Coaching Group. Certified in many assessments, among his favorites are the Leadership Circle Profile and Leadership Culture Survey. Ask him why! Kris has over twenty years of experience as a global executive. He led business development creating two companies in the satellite telecoms sector, prior to his ten years of coaching. Kris was valued for being innovative and bold, creating new standards that differentiated both companies in the market. Beth leads a coaching and organizational consulting firm based in New York and Washington, D.C. to deliver international leadership development programs. Clients have described their experience working with Beth as being provocative and transformative. She brings the science of organizational assessments and 360-feedback into the coaching relationship as a foundational base from which to build. When working with Beth leaders gain insight, broaden perspective and learn to sort through the multidimensional layers of complexity embedded in their personal and organizational systems. Her approach encourages leaders and teams alike to push the edges of their current thinking and grow capacities for leading system-wide change. Beth describes herself as being down-to-earth, deeply interested and unwavering in her commitment to support the growth and development of those with whom she comes in contact. 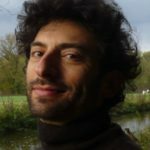 Charles is a global team builder working at the intersection of pattern languages and movement growing, systems thinking and dynamic mapping. A longtime media producer, broadcaster and archivist, he founded the arts and education nonprofit Lovevolv. Charles is also an advisor and team member of the Climate Change and Consciousness conference and network initiative.